Join us for a weekend of fun, games, crafts and treats to celebrate the Christmas season! As always, all funding goes to support the seal hospital! Please join us on Curracloe Beach, Co Wexford to bid farewell to some of our healthy rehabilitated seal pups who are ready to return to the wild! We would like to send a huge thank you to The Upcycle Movement and commend them on their efforts "To highlight, demonstrate and encourage upcycled design. Re-thinking what we consider waste and instead showing it's potential as a valuable resource for something new." The Neo Collection wash bag they have donated is made from 100% recycled wetsuit neoprene! Our two judges are: Juanma, our intern from Spain, an experienced diver and environmental advocate. His close friend Joana Canal Amado who he met at the Jane Goodall Institute in Senegal. Joana is a documentary photographer and photojournalist based in Barcelona, Spain. Although she is based in Barcelona, she has worked a lot in France, NY, and Africa. She has worked with teather companies, been several years documenting VISA OFF, The Teather festival in Avignon, and is now working with NewZulu, a newsagency from NY, as well as publishing her work from catalan conflict on sites such as AFP and Crowdspark. She was heavily involved documenting at The Jane Goodall Institute, in Senegal. Winner of a few EPIM (Experience Photographic International of Monuments), she has also travelled documenting the heritage of some amazing cities, always unveiling more history than is commonly told. Its summertime, so we've lined up some fun activities for you and your family to get involved in! If you love a sunny day on a Wexford beach as much as we do, you'll have to get yourselves booked in for Wexford's Summer Sand Sculpture Festival. They'll be fantastic days full of laughs, entertainment, education, GOLDEN SAND and GREY SEALS! Love Gorey and SRI have invited professional sand sculptor, Daniel Doyle to town and he'll be creating fabulous sand sculptures each day. Daniel will also be hosting in-depth sculpting workshops for groups who hastily book their tickets NOW. There will also be two rare opportunities (Courtown Main Beach and Morriscastle Strand) to view our seals being RELEASED BACK INTO THE WILD. And remember... all proceeds go directly to the seal hospital! Presented by: Love Gorey and Seal Rescue Ireland. In association with: Wexford CoCo, Home Restaurant, Freedom Fit and Courtown Leisure Centre. We will be releasing some seals at Rossnowlagh beach in Co Donegal at 3pm on Sunday 8th July. Please check our Facebook event https://www.facebook.com/events/590595441326048/ or check here closer to the date for further details about what seals will be released. We will also be having a beach clean beforehand starting at 2.30pm, and a Seal Rescue Training Event earlier in the day also, for more information on this please see our adjoining event post. Join us this Sunday at 2pm on the Main Beach in Courtown, Co. Wexford (the beach with the boardwalk) for the release of some of our rehabilitated seals!! Be sure to arrive a little early so you don't miss the moment the crates open. We will have a small gift shop, a raffle and buckets for donations towards our work, so please bring some spare change if you have it too! We expect to be releasing 7 seals on Sunday! The seals returning to the wild include our last two common seals Panoramix and Frodo, as well as grey seals Tikka, Pigwidgeon, Haggis, Eleven and Yvaine. After the release we will still have 10 grey seals in our care, and we expect to see the first arrivals of this years common seals in the next few weeks, so numbers will start to rise again! 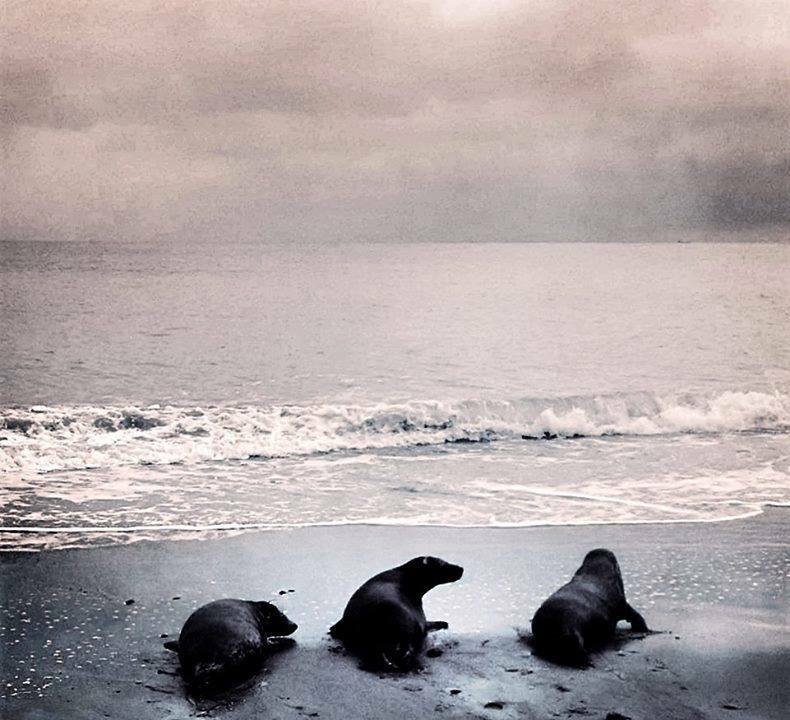 This Sunday at Bray beach, Co Wicklow, we will be releasing three gorgeous seals; Fred Weasley, Tyrion, and Ravenna. The release will happen at 2pm sharp and we recommend you come early to ensure you don’t miss the event, as the seals can move fast to get back into the water! We will be bidding farewell to Dorothy, Molly, Gwen, Rossa, Saoirse and Newt at 2pm sharp so please be sure to arrive 10 minutes early so you don't miss it! Christmas Wonderland at the Courtown Seal Rescue Centre! Price: €5 for kids, Adults go free! Activities: We will have lots of fun Christmas games, activities, arts & crafts, face painting, guided tours and a visit from Santa and Selkie the Seal!!! We would love if you would bring a present for the seals too! Here is the pup's wishlist! Join us at Ambrose Maloney's in Courtown, Co. Wexford on 15th December 2017 at 7:00pm for a fundraiser dinner in aid of the pups! Enjoy a 3 course meal, a bottle of wine, great company and a chance to win some fab prizes with all proceeds going directly to the care of the pups in our centre. (or €30 per adult / €15 per child can be paid at the door on the night). To book visit our website: http://www.sealrescueireland.org/heal-a-seal-meal/or call 053 942 4980 for more info! Gizmo & Saphira are being released THIS Sunday 3rd December at 2pm on Dodd's Rock Beach, North of Courtown, Co. Wexford! Seal Rescue Volunteer Training followed by a Seal Release in Courtown, Co. Wexford! Exciting! Make sure to pop into either Lush Dublin - Grafton Street or Lush DUBLIN - HENRY STREET for their charity pot parties in support of Seal Rescue Ireland, this bank holiday weekend 27th-30th October! All proceeds come down to our pups, and you get to enjoy Lush's amazing products for double the good feeling! Seal Rescue Volunteer Training in Co. Wexford ! Join us this Saturday 21st October at 2pm on Courtown main beach (with the board walk) for the RELEASE of Toto and Prospero!! Sing for the Seals at our Karaoke night fundraiser on 20th October! From 8pm til late, you can show off your inner rockstar for only €1 per song... We will have a raffle, and some awesome prizes for best performance! All proceeds go directly to caring for our seals! :) So come join us for plenty of fun and sing the night away! 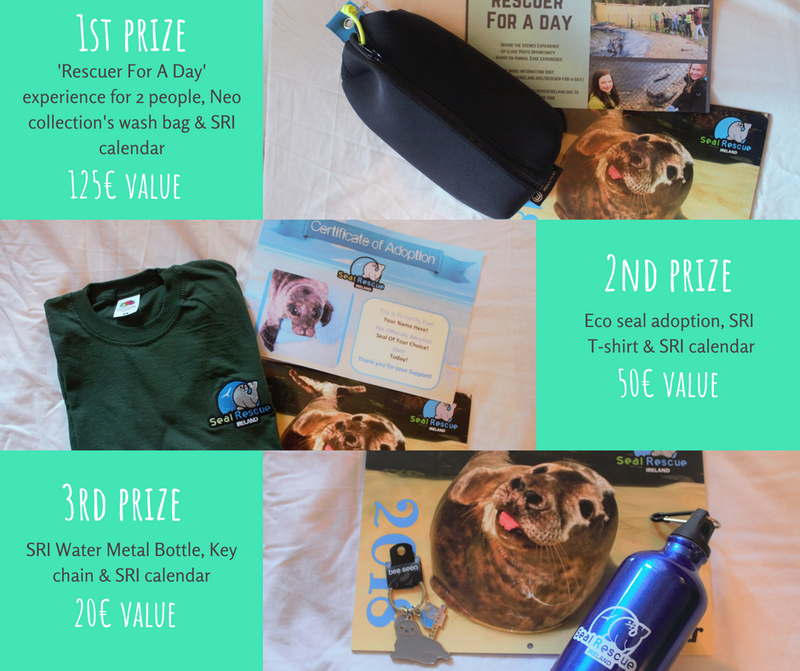 A scavenger hunt and educational talk will be taking place here at Seal Rescue Ireland in Courtown on Saturday, August 26th from 1pm-4pm. Tickets cost €6 each. 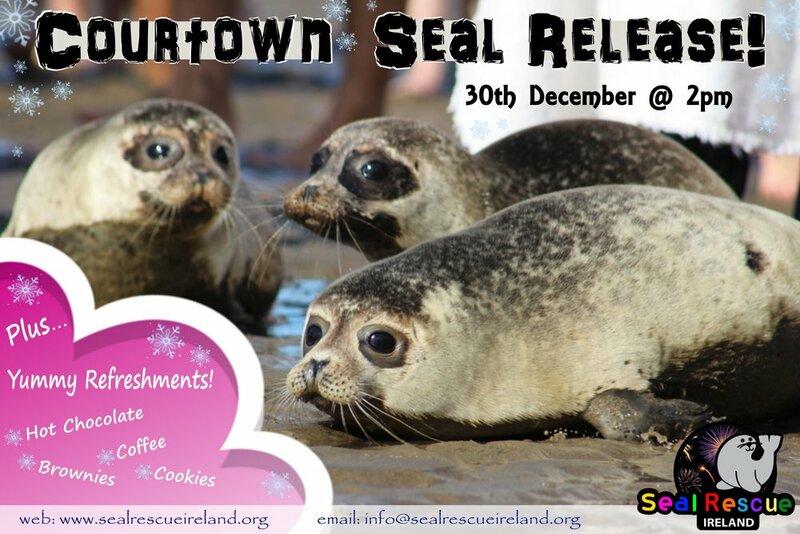 Pictures of our seals will be placed around Courtown and those taking part will be given a map and a list to go and rescue them for us. Once you have found a seal, you must write the code beneath it onto the list provided for you. Once you have filled your list, you must return to the centre where your time will be recorded! All participants will receive a small token for your efforts! Once everyone has returned, at 3pm the prizes will be given out followed by an educational talk. The talk will include a background on all of the seals rescued during the event and the important roles they play in the ocean ecosystem. This is a fun day for kids of all ages. Let's get rescuing! Beach Party & Seal Release! Saturday 8th July we are throwing a beach party from 10am - 2pm on the main beach in Courtown! Family fun with music, games, crafts, face painting, sand castle contest, raffles, prizes and yummy treats! Following the fun we will be releasing our last two grey seals from the past winter season, Copper and Crush at 2pm! We rescued our first baby common seal of the season, Ron Weasley! 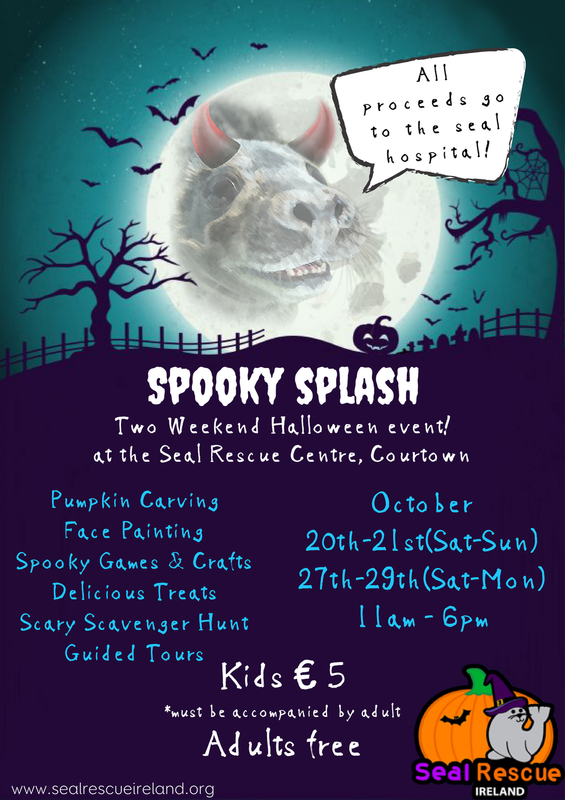 Come welcome Ron and enjoy a day of games, crafts and family fun at the Courtown Seal Rescue Centre! In place of an entry fee please check out our wishlist at the link below for Ron and the other common seal pups we expect to see soon! Training Course for Joining Seal Rescue Ireland's Rescue Team. We are expanding our stranding network and looking for new and enthusiastic people who are interested in helping rescue seals from all over Ireland. We are holding a training course in Carlingford Co Louth on Sunday June 18th from 9am - 1pm. The training fee of €35 which includes the full day training, rescue vest, membership card and a starter rescue pack. After training at 2pm join us at Gyles Quay beach to watch some of our successfully rehabilitated seals as they return to the wild.